Offering you a complete choice of products which include briquetting presses, biomass briquette machine, briquette machine, briquette plant, automatic agro biomass briquetting plant and briquette press machine. 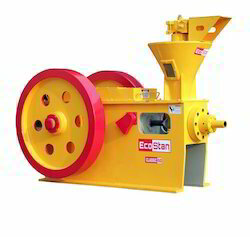 We are offering a wide range of Briquetting Presses to the clients. Briquetting is the processing of waste material into briquettes- pieces having a homogenous, geometric shape and practically identical weight which makes it convenient for transportation, scorching and increasing its grilling value as well. 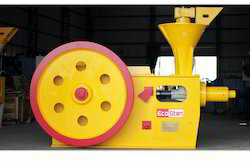 EcoStan™ Briquetting machines produce fine quality briquettes without any need of binder or synthetic. It shrinks the raw material with the help of soaring pressure mechanical strike. However, during the shrinkage of the material, the heat rises rapidly to make the raw material liberate the multiple binders that will assist in keeping the pieces together in the shrunk shape. 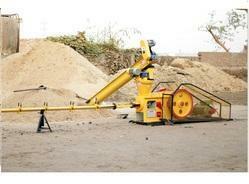 Our products are shaped under the leadership of skilful engineers with the support of latest Japanese Machinery. 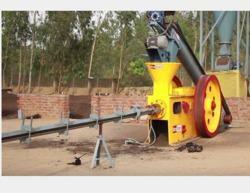 We have developed a niche in delivering quality Briquette Machine which has been in demand in the industry mainly due to its performance in all conditions. The product is designed to cater to the multiple complex requirements and have been thoroughly checked for its wear and tear resistance. We have ensured that this product has high-end capabilities. 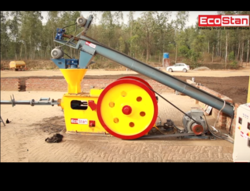 The price of our Coir Pith Briquette Machines is the best one can get in the industry which is widely appreciated by our clients as well. The robust construction of this machine ensures trouble free service. With our vast experience in the industry, we are able to trade and export for our wide range of high-quality Briquette Plant. A briquette is a block of flammable matter used as fuel to start and maintain a fire. Briquette Plant fabricates the hole in the briquette which is the screw thread passing through the centre, but it also increases the surface area of the log and aids efficient combustion. Briquette Plant is known for their easy work, durability, easy maintenance and excellent quality material used and its efficient accuracy. Our products are available the clients at affordable prices. We provide the briquetting machine through which you can convert any agricultural and forest waste into biomass briquettes. With years of experience, we are engaged in offering our clients optimum quality and technologically advanced Briquette Press Machine. By considering the clients’ specific requirements and variegated demands, we have developed our range to different specifications. Due to their optimum performance, longer serving life, easier maintenance and smooth functionality, these machines are demanded all over the world.